Inca Trail Tour 1 Day to Machupicchu / 100% recommended for Families. Inca Trail Tour 1 day. It begins at km 104 of the Cusco – Machu Picchu railway at an altitude of 2100 meters reaching a maximum of 2,720 meters above sea level at the Sun Gate. It has 10.5 km away, and the trek lasts 6 hours a moderate pace. This shorter trail will take you through the same route of the Inca Trail 2-day and the last part of Classic Inca Trail 4-Day. The trip is enchanting with beautiful panoramic views, full of flora and fauna. It also allows us to visit three beautiful Inca cities, Chachabamba, Wiñaywayna and in the afternoon to Machu Picchu. Inca Trail Tour 1 day is highly recommending for families traveling with their children. Also for those who do not have enough time to stay in Cusco and with no age limit, you only need to have an adventurous spirit. Map of the Inca trail tour 1 day. Inca Trail Tour 1 Day: Cusco – Km 104 – Machu Picchu – Cusco. Pick up from the hotel in Cusco at 3:40 a.m. Train departure from Ollantaytambo 6:10 a.m.
5:30 pm. descent on the bus to Aguas Calientes. 8:50 p.m. Departure of the train back to Ollantaytambo. 11:40 p.m. Arrival to Cusco – Hotel. 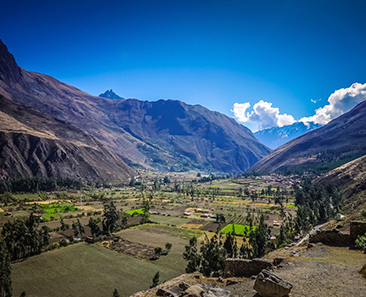 To start this wonderful adventure of 1 day, we will pass by your hotel at 3:40 am to pick you up and take you by bus to the Ollantaytambo train station. From where our trip will be 1 hour and 10 minutes to km 104 of the railway. When we pass the control, in a couple of minutes, we will visit Chachabamba archaeological site; then we will continue the trek for 3 hours until Wiñaywayna archaeological site, where we will also have enough time to photograph and to have lunch. After the short break, we will continue with our adventure enjoying the richness of the biodiversity to the highest point of the Inca Trail adventure 1 Day, Sun gate (2,720 meters / 8,922 feet). 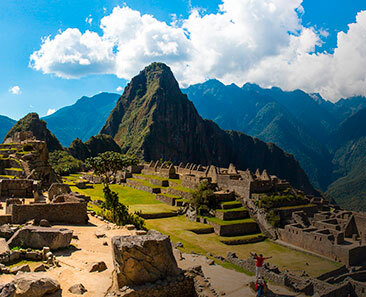 From here we will have beautiful panoramic views of the Inca city of Machu Picchu and Huayna Picchu. Approximately at 2 pm. We will start the tour of the Machu Picchu Inca city with our expert guide until 5 pm. After the tour, we will descend to Aguas Calientes town to enjoy a delicious dinner. At 8:50 pm. We will take our return train to Ollantaytambo. From here we will board our private mobility to the city of Cusco – Hotel and arrival will be at approximately 11:40 pm. Private tourist mobility Round trip between Cusco hotel – Ollantaytambo train station. Roundtrip train tickets from Ollantaytambo – Machu Picchu. 1 bus ticket between Machu Picchu – Aguas Calientes. First aid kit and oxygen balloon. 1 lunch (box Lunch) and 1 Dinner. Vegetarian option (no extra charge). Travel insurance. You must take out your travel insurance at least for the duration of your adventure. Prices 2019 until January 31, 2020. For students who have a valid university card and under 17 years old. Special discount for under 12 years old. More information. 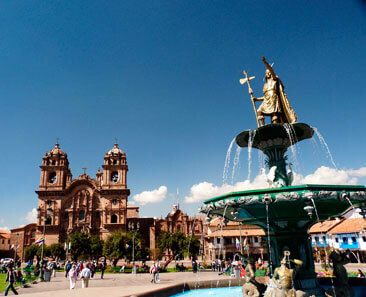 Be in Cusco at least 1-day before the tour. Carry passports or another document with which you made the reservation of the Inca Trail. Inca Trail 2020 to Machu Picchu. Book Here.